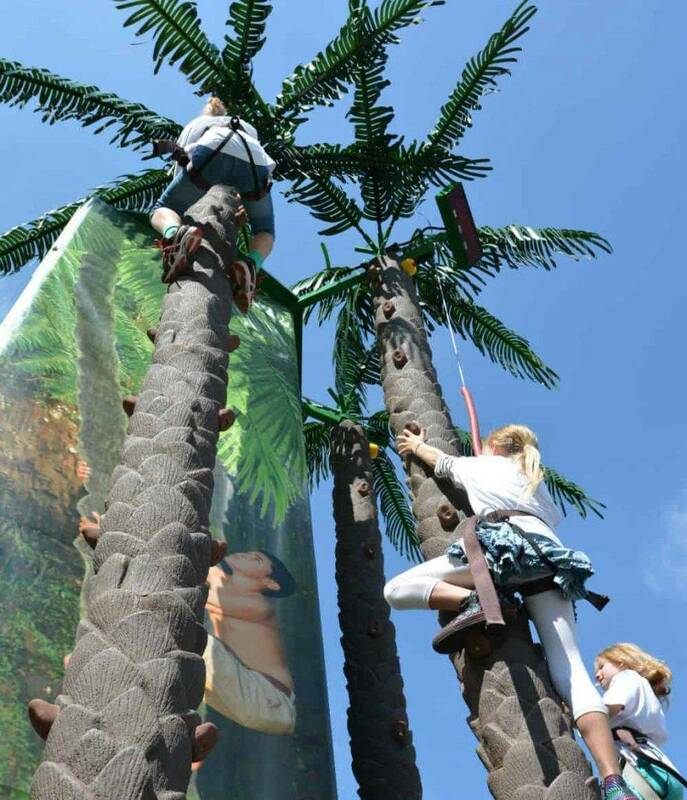 The Mobile Coconut Tree Climb is a unique, fully themed tree climbing attraction. 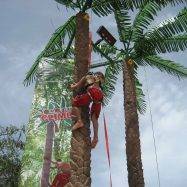 Based around the same Hydraulic Auto Belay system as our climbing towers, the Coconut Tree Climb offers a completely unique climbing experience. 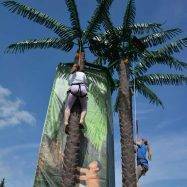 The Coconut Tree is a perfect alternative to traditional Mobile Climbing Walls and is ideally suited for events or sponsorship with a tropical or desert island theme. 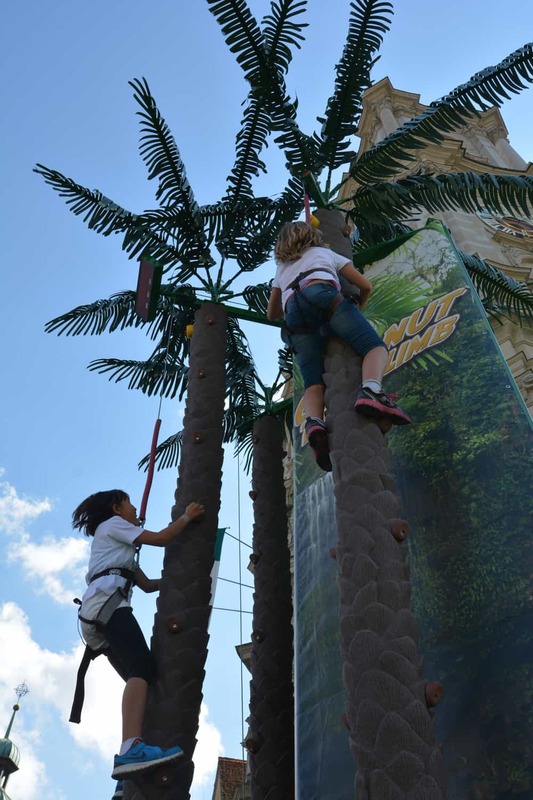 Each Mobile Coconut Tree Climb consists of three authentically themed artificial coconut trees, including fully textured tree surface and decorative, artificial leaves at the summit. 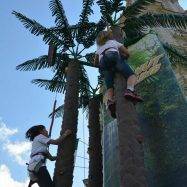 Additional handholds make climbing easier for younger children whilst also allowing you to alter the difficulty level. 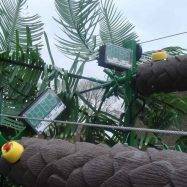 Climbers can race against each other or against the clock with the addition of our Climber Timer System. This competitive element is great for encouraging repeat play. 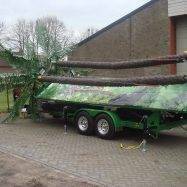 Each tree uses its own independent Hydraulic Auto Belay to support the climber during ascent and descent. 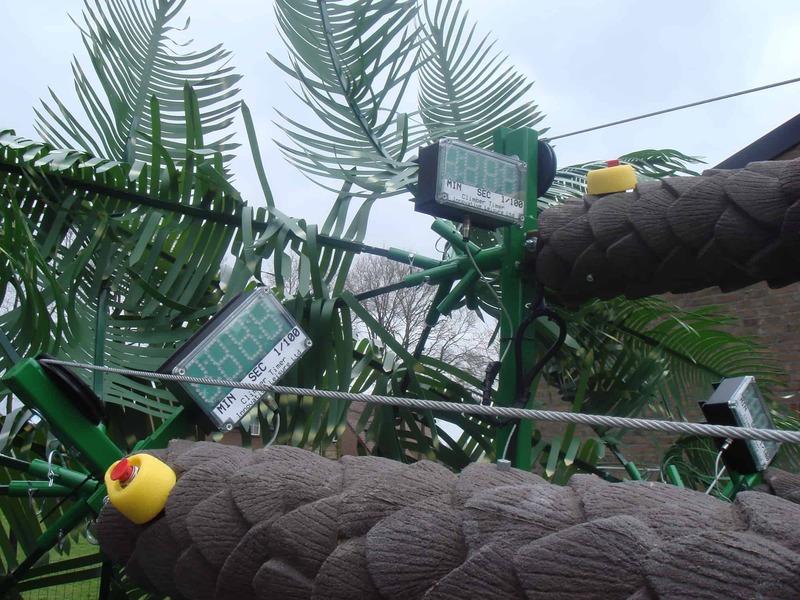 With over a decade of use on all of our Climbing Walls, our Hydraulic Auto Belay has proven itself to be the most dependable system available and is the only device to achieve the prestigious TÜV certification. 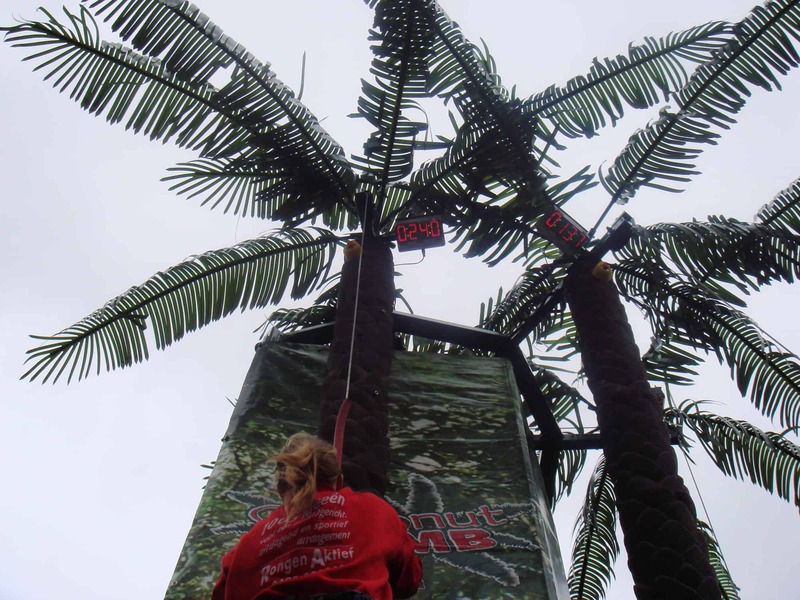 It is easy to set up, highly durable and incredibly reliable, ensuring a safe climb and descent for participants and peace of mind for operators. 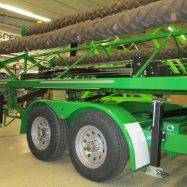 We supply the highest quality climbing equipment from leading manufacturers including carabiners, swivels and harnesses and offer optional extras including safety mats and safety barriers. 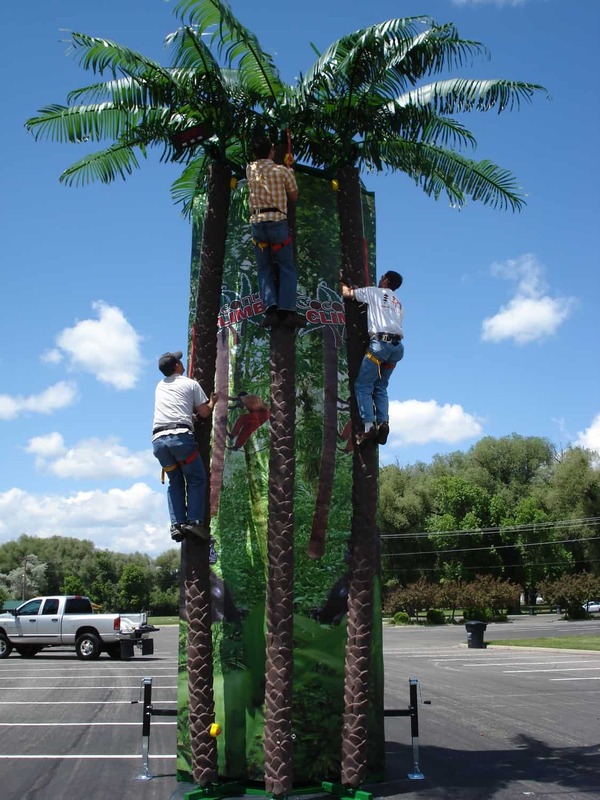 A powder-coated box steel framework supports the climbing trees and this is concealed by two full-length colour banners that are incorporated into the overall theme. 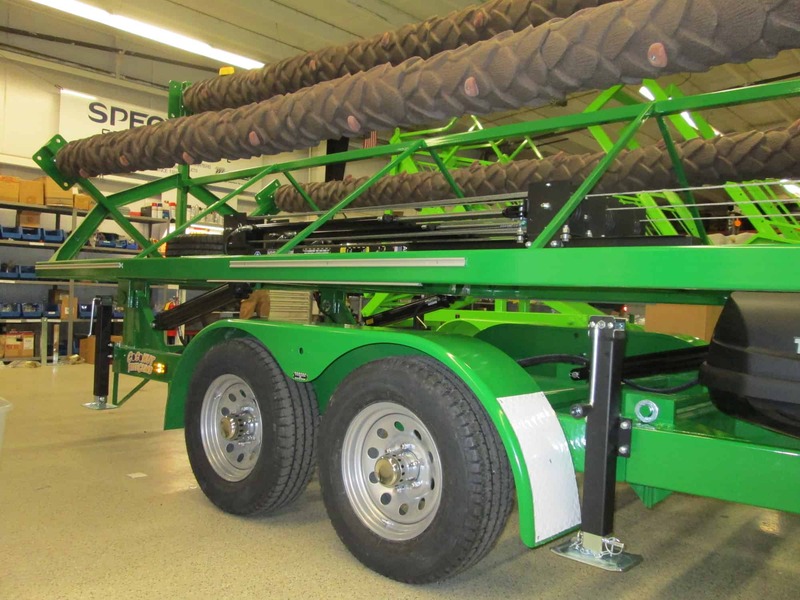 The system is mounted to a full-length custom built trailer that is based on the same design used for our Mobile Climbing Walls. 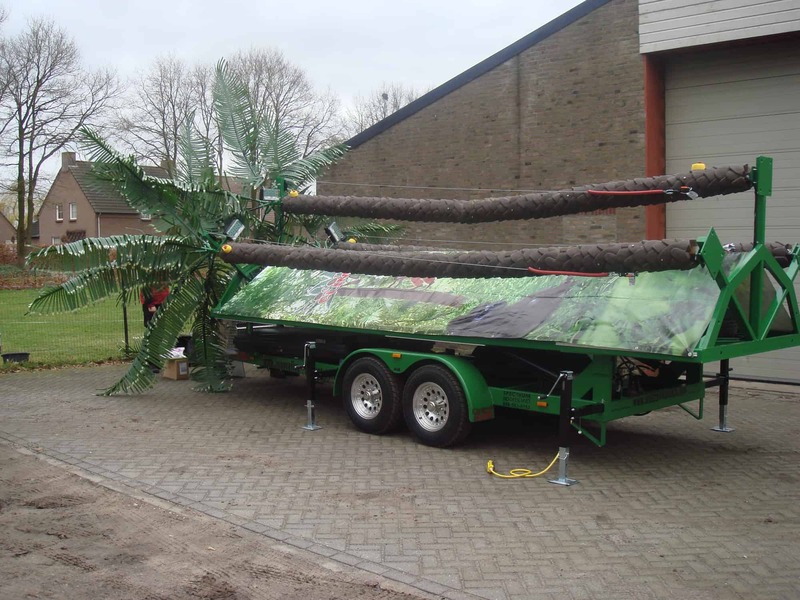 Built to meet all UK and EU towing regulations and constructed from the highest quality steelwork with powder coat finish, the Mobile Coconut Tree Climb is built to last. 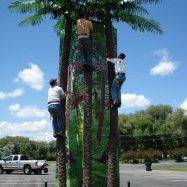 All Mobile Coconut Tree Climbs are supplied with a Design Review, Risk Assessment, Operators Manual and training for your staff is included. 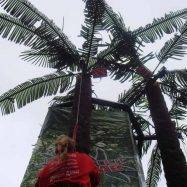 In the UK Each Coconut Tree Climb is also fully ADIPS tested and document of compliance supplied as standard. 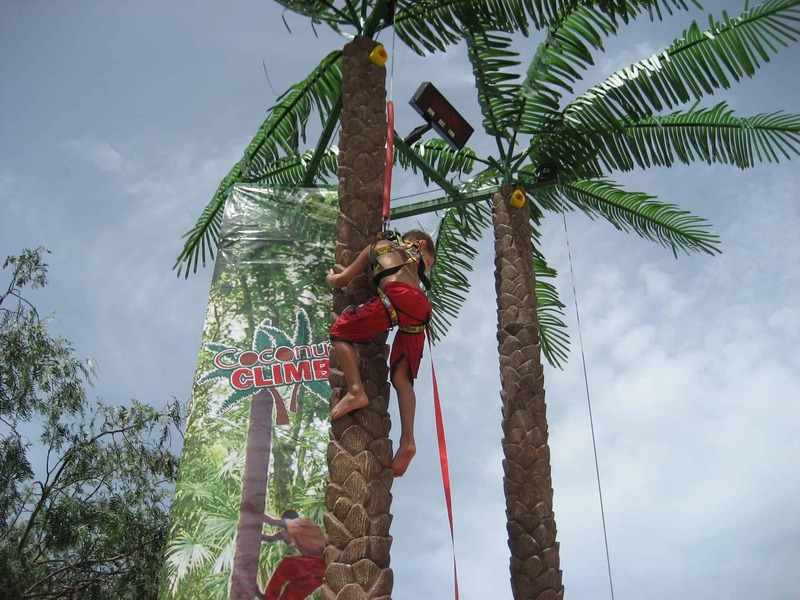 The Coconut Tree Climb is popular as a unique mobile attraction with many independent operators and also in the scouting sector, currently operating at various sites including Tolmers Scout Camp in Hertfordshire.